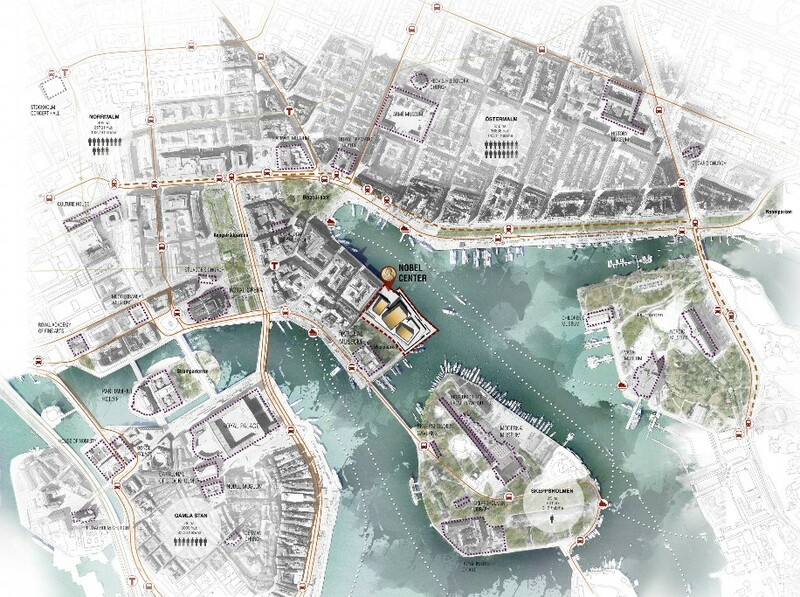 Situated as a “solitaire” on a prominent water-front location along the Blasieholmen in the center of Stockholm, adjacent to the Friedrich August Stüler-designed Swedish National Museum, the new building will serve as the Nobel Prize’s first-ever home and establish the area as a predominant cultural destination. 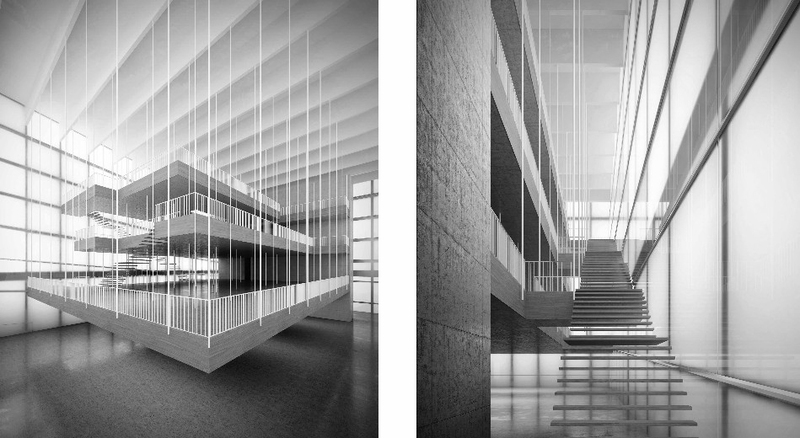 United within the building’s “limited footprint” will be an auditorium, a museum, conference facilities, offices, a library, a restaurant, a café with bar and a shop. 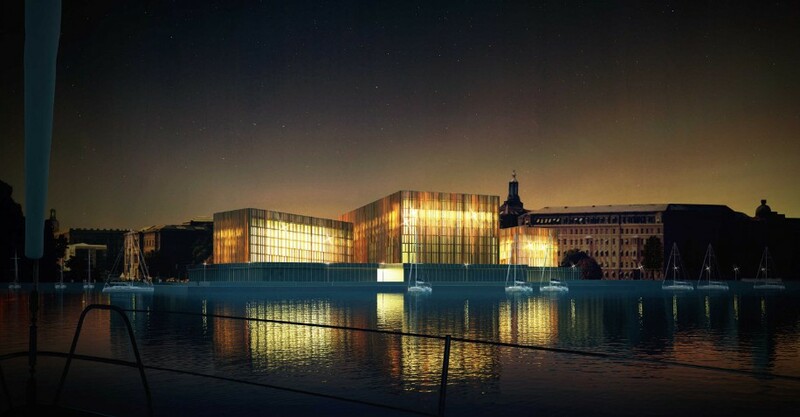 The auditorium – “Nobelsalen” – will be the center’s highlight, offering a backdrop of stunning panoramic city views and serving as the primary venue of the prestigious Nobel Prize Ceremony. 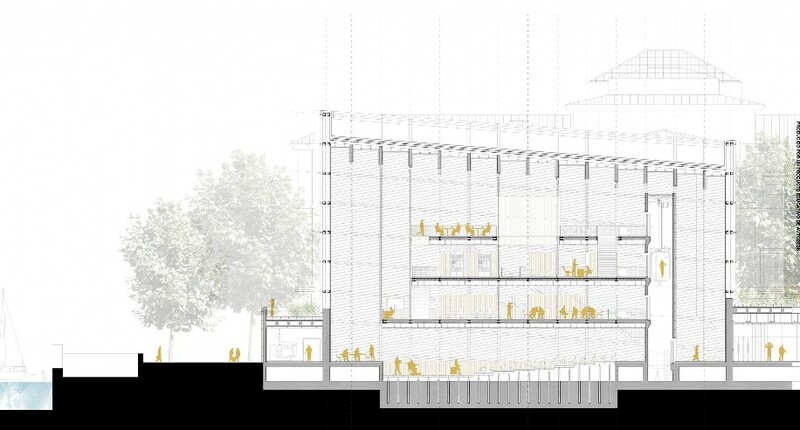 Circulation will begin on the open ground floor, accompanied by various museum activities, and will lead past the library, the conference area, the restaurant and the offices up to the auditorium. 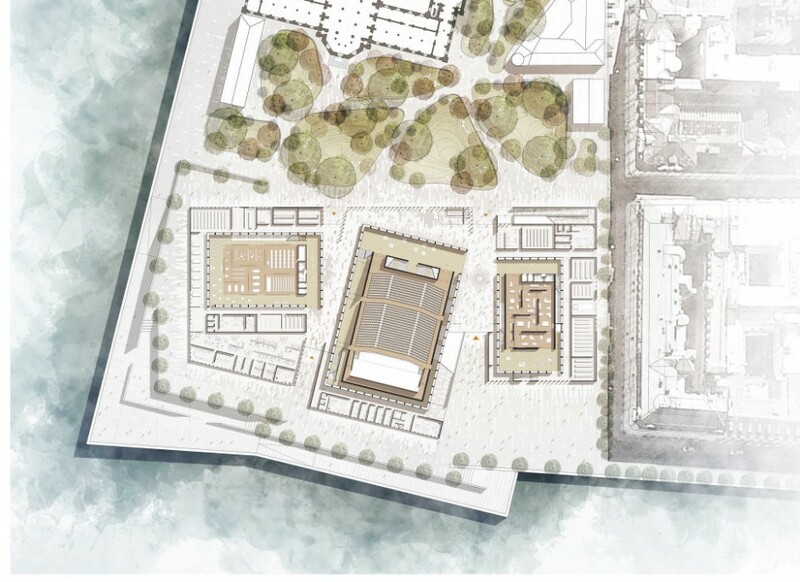 A new garden – “Nobel Trädgård” – will be established on the center’s south side and connect with the existing National Museum park and planned water-edge, creating a “generous natural space in the centre of the city.